I first learned about juicing when I saw the movie ‘Fat, Sick, & Nearly Dead” several years ago, a sort of comical documentary with a serious message on health and the benefits of juicing. Joe Cross, the man who was ‘fat, sick and nearly dead’ goes on a journey across America with two purposes, first to find other’s perspective on their health, and second, to go on a juice fasting himself to loose weight and see if he could clear up a bad skin condition. I was motivated by this movie to think about health in a new way. My fiancé and I are both avid learners about nutrition and exercise. Both of us are highly inspired by Shawn Stevenson, a nutrition and exercise expert, who also runs the Model Health Show podcast. We’ve learned so much through his podcast and we’ve taken action in our own lives to be healthier and better people. We highly recommend his podcast whether you’re looking for inspiration to improve your health or to just be a better person. A very truthful soul, his aim is to provide service. A few weeks ago, my fiancé happened to win a really nice juicer from his show! I’m so excited we can get down on juicing (Although it’s not mine, he said we could keep it at my house for us both to use!). We both have seriously dreamt about owning a nice juicer for a while and now it’s real. Here are two juices we made. I’m sure some of you all thinking ‘gross!’. But, let me tell you it’s delicious! Look at that green color! That’s nature’s dye full of nutrients to feed your body. The ingredient we love adding in was the parsley. We grew a lot of it this year. Parsley is a great addition to the living landscape because it attracts the Black Swallowtail Butterfly caterpillar. The butterfly lays its eggs on herbs of the carrot family (dill, parsley, carrot, fennel, Queen Annes Lace, wild carrot species), and the caterpillar eats these herbs. It’s the only food this caterpillar can eat, to then become a butterfly! If you grow and harvest any of these herbs, always look for evidence of a caterpillar before you harvest. You can leave them be, they are great assets and don’t do any damage. Parsley also has amazing health benefits. It has a lot of the micronutrient, PQQ, which aids in giving your mitochondria energy (which means long lifespan!). It is also full of chlorophyll, all the life giving green color of the plant. It has a lot of vitamin K & C, it fights cancer, great for cardiovascular health, and can even help arthritis with its anti-inflammatory benefits. 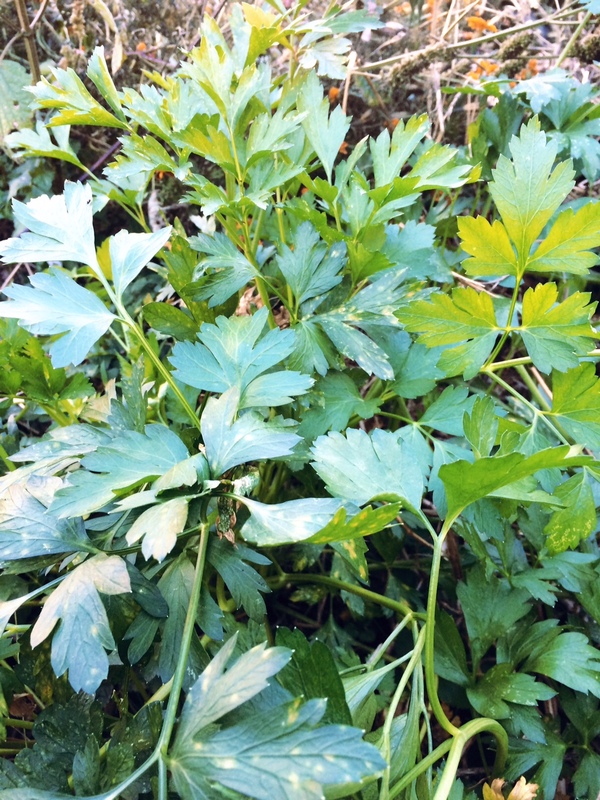 Parsley is a must for any living landscape or edible garden. The other part we like about it is the ginger. Ginger is great to add to juices. 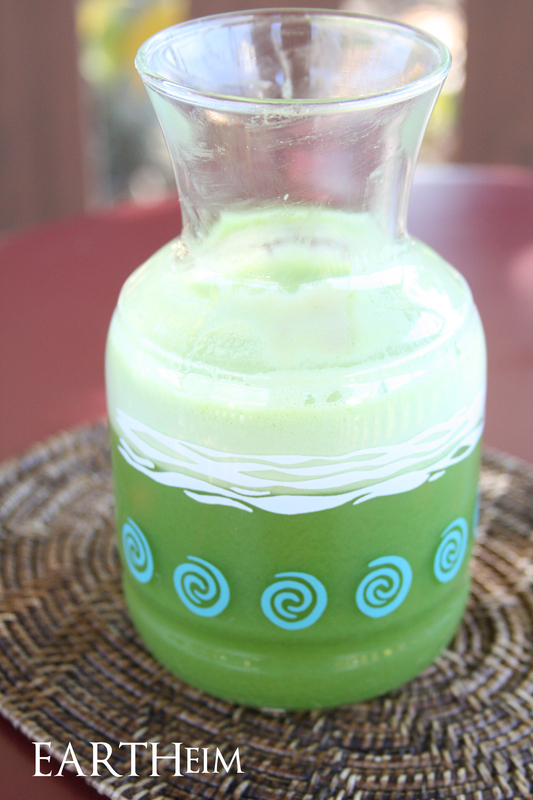 It provides a fresh ‘zing’ to juice and guess what, it’s so good for you too. Did you know they say taking ginger daily is the same or better than taking an aspirin a day? It’s also great for circulation, improving digestion, and relieving nausea or upset stomach. We make a ginger tincture that stays with us at all times (and have in our etsy shop). A great way to peel ginger is simply with a an edge of a spoon. I’ve heard that you shouldn’t juice citrus in a juicer, but I did it any way since the booklet of this super juicer said you could juice oranges! I really like this because it makes things easier when you’re wanting juice, quickly. 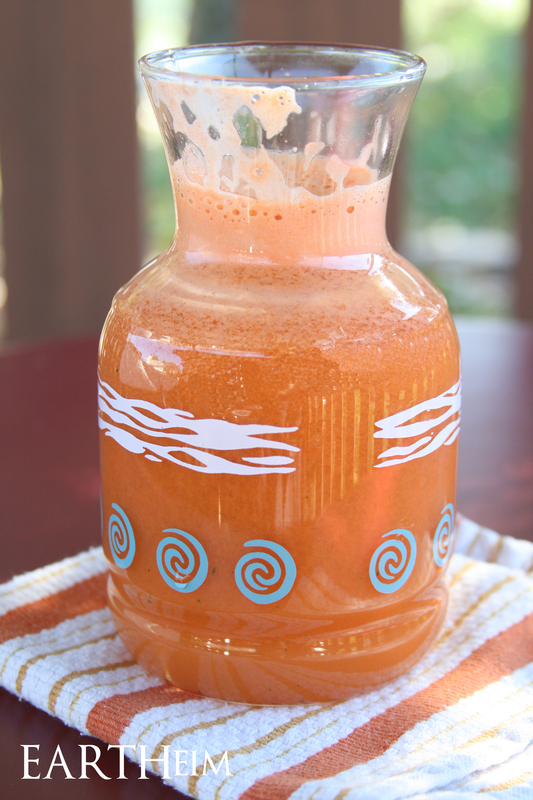 The carrot in this juice makes it sweeter since grapefruit can be bitter sometimes. I love grapefruit though. I don’t believe it’s a food that’s going to make you loose crazy weight like some diet fads say, but it may still assist you in shedding pounds. It is a food with a lot of Vitamin C that has lots of health benefits such as lowering risk of stroke and cancer, helping blood pressure, heart health and asthma, and helping you rehydrate with water and electrolytes. 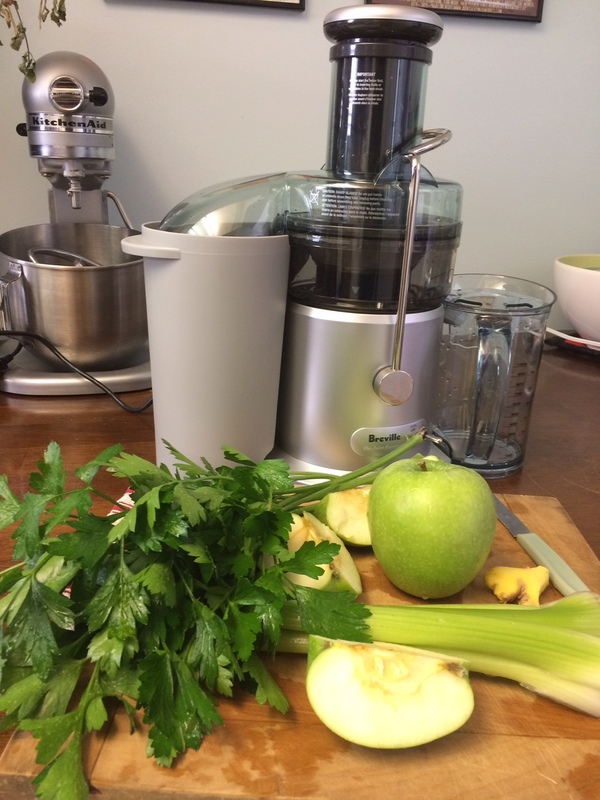 We love this juicer; it’s a Breville Juice Fountain Plus. If you’re looking to juice, I suggest getting a nice juicer. It didn’t leak or make a mess. The pulp catcher is rounded at the bottom making it easier to empty the pump into the composter. The motor has 2 speeds, and when you turn it off it slowly turns off the motor which makes it easy on the machine. It has a nice juice pitcher, and the juicing filter is made of nice metal parts. 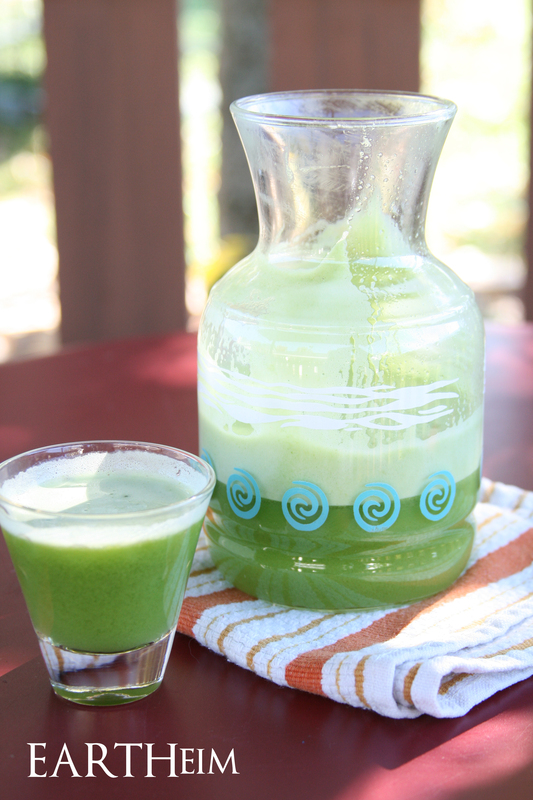 I have used an inexpensive juicer before ($40), and while it made juice, there were several issues with the machine. If you think you want to make juicing a part of your lifestyle, a nice juicer is going to make it a lot easier. Take a Shot at Juicing! We were not asked by anyone (esp, Shawn Stevenson, Breville, or ‘Fat Sick Nearly Dead’) to write this post or endorse them in anyway. We just want to share the impact these people/things have had on us and to pass on these sources and recommendations! We are not trained to give any health advice. What we write is only based on what we read through our own research and is based on our own experiences.